An Arizona master-planned community located in the heart of Marana at the foothills of the Tucson Mountains. Continental Ranch is made up of a diverse group of members who contribute to the outstanding Arizona lifestyle of the community. Members enjoy a vast assortment of recreational opportunities including two pool facilities, baseball field, parks and a soccer field. Continental Ranch Community Association promotes the protection of Arizona home values, harmonious community life and is truly a place to call home in the State of Arizona. 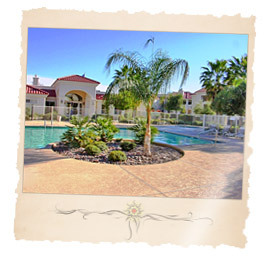 Continental Ranch is an Arizona Master Planned Community located in the Town of Marana in Northwest Tucson. Situated approximately 30 minutes from downtown Tucson, Continental Ranch - along with other subdivisions in Marana, Arizona - benefit from the ease of access to the City and surrounding areas due to its proximity to the I 10 freeway. Not only are the views of the Tucson Mountains spectactular, but Arizona home prices are very attractive compared to many other areas in Tucson. Continental Ranch families are served by the Marana School District which includes - Marana High School, Marana Middle School and Twin Peaks Elementary School. The many Arizona new homes available in Continental Ranch as well as the Marana's surrounding Arizona communities including - Gladden Farms, Dove Mountain - and the availability of retail stores is growing rapidly. Few neighborhoods are as large as the Continental Ranch and its sister neighborhood Continental Reserve mega neighborhoods. Combined this area has roughly 4,000 Arizona homes and in the recent past years even had some Arizona commercial real estate projects to make this area self sufficient with grocery stores, services, and even direct access to a hospital and professional services. On the whole the Continental Ranch and Reserve area is probably northwest Tucson's most demanded area to live in for those that want an Arizona master-planned community with many options for people of all ages to participate in. Continental Ranch (located north of Cortaro, west of Silverbell to the Santa Cruz River and as north as Twin Peaks Road) Development was started in the 1980's and just in the past year or so reached about maximum build out with the completion of Richmond American's community within Continental Ranch. Arizona homes in Continental Ranch number roughly 3,000 homes and sized range from as small as 900 square feet to in excess of 3000 square feet one and two story Arizona homes. The tools to begin your new Continental Ranch Community Arizona homes search are right at your fingertips! To get started, simply click on the quick link above or browse Arizona new construction homes and houses for sale using the links to the right. 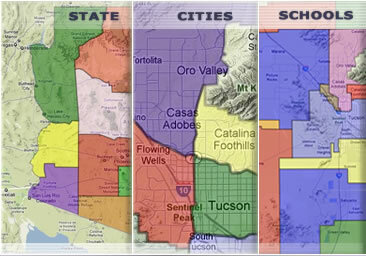 Find a new Continental Ranch Community Arizona home for sale or locate a home builder in Arizona on MyOwnArizona.com. Our MyOwnArizona™ Continental Ranch Community real estate guide showcases new construction homes, townhomes, condos and new Arizona communities by new home builders throughout the State of Arizona. Find Arizona new homes by map, desired home price or by browsing new developments and floor plans by lifestyle or home type. All home listings include home price, location and money saving incentive offers to make buying a new Continental Ranch Community home more affordable. 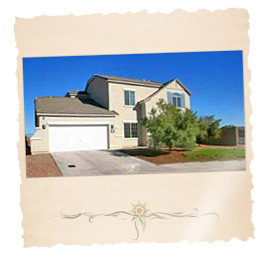 All Arizona houses for sale listed include floor plans, pictures and many offer tours of the new homes and communities. Contact us at: info@MyOwnArizona.com for Arizona & Continental Ranch Community in Tucson, AZ real estate.